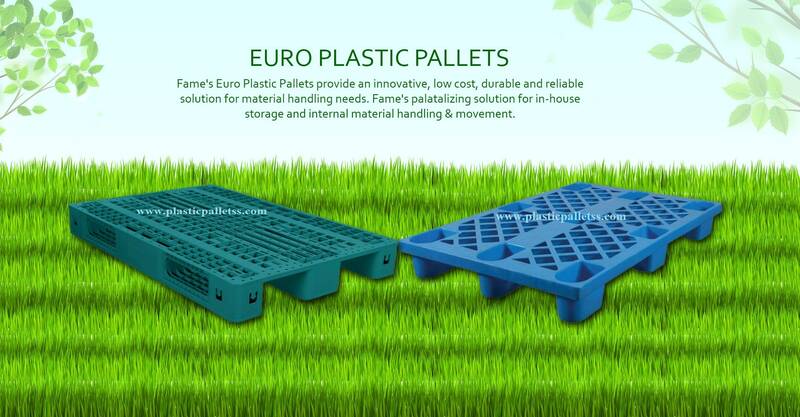 Fame storage Private Limited is engaged in manufacturing of Plastic Pallets, Drum Pallets, HDPE Pallets, Export Pallets, Reversible Pallets, Pallet Truck etc.Leading Manufacturer of medium weight plastic pallets, blue color plastic pallet, hdpe pallet, multi color plastic pallets, 4 way sea green plastic pallet and coloured plastic pallets from New Delhi. We offer expertise in plastic molding through our core strength of ability to innovate, design and manufacture a wider range of products which is suitable for all kind of industrial segments. We always follow highest quality standards of technical excellence scaling new heights in its determination to deliver best every time.